A Bluetooth keyboard is undoubtedly a must try out if you want to minimize the hassle of wire tangles. 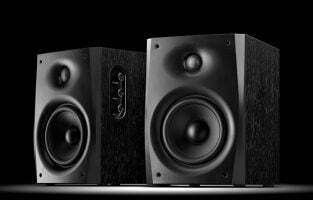 True to its name, the connection between the keyboard and the system is established through Bluetooth technology. Most often, these keyboards have the same QWERTY style like their normal counterparts. However, some mini versions are also available that come with a different layout. The battery life of these keyboards depends on their usage. Usually, the battery has a lifetime of at least three months with two hours of usage every day. 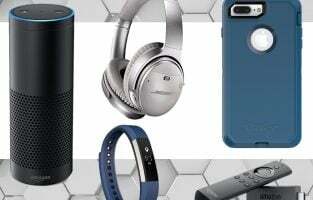 The following are some of the best Bluetooth keyboards. 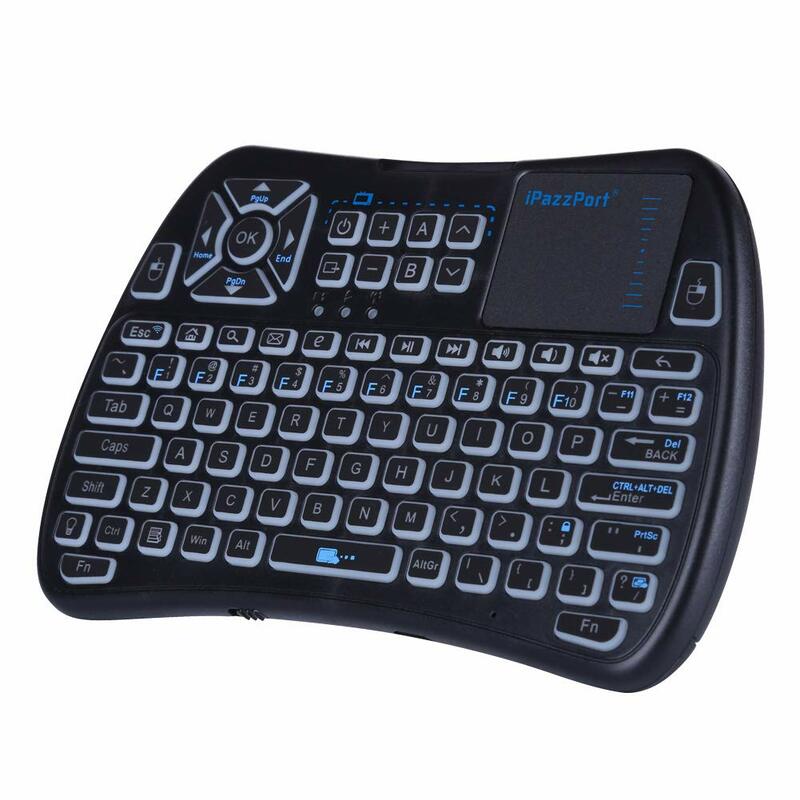 The iPazzPort Bluetooth keyboard performs the functions of four devices – mini keyboard, mouse, touchpad and TV remote. The keyboard can be activated with IR learning feature and programmed with a TV remote to perform the basic functions of a TV remote. It has eight buttons that are exclusively dedicated to the IR learning function that can be set up very easily. The black colored keyboard has an ergonomic design and layout. The left and right buttons of the mouse and TouchPad are positioned on the right of the device, which makes it easy to execute the Copy and Paste commands. The accessory comprises a USB port, lock button, a switch button to turn off the keyboard, when not in use and save power, as well as a light bulb button to turn off the RGB back-lighting or to choose the color according to your preferences. 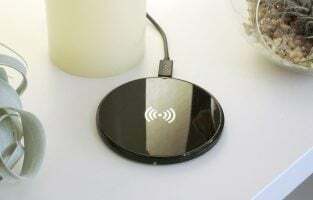 It is compatible with several devices like Android TV box, Fire TV, Xiaomi Mi Box, Fire Stick, Raspberry Pi, Mini PC, projectors and computers. The rechargeable unit works without interruption for several months on a single full charge. The mini Bluetooth keyboard comes with a USB cable and a user manual. 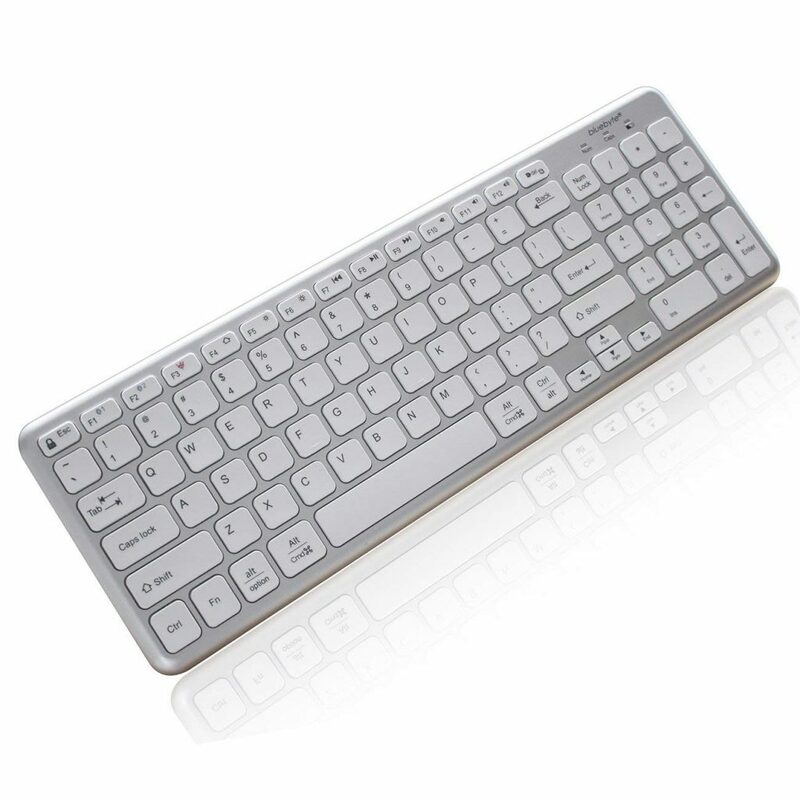 The OMOTON Bluetooth keyboard has the typical QWERTY keyboard layout that makes it very easy to use. The keyboard comprises 78 keys including 13 iPad hotkeys that can be customized for performing various functions such as adjusting the volume, setting the brightness, music control and more. It supports an operating distance of a maximum of 10 meters with Bluetooth 3.0 connectivity. The keyboard is made of high-grade plastic with an ultra slim design and is of the right size. This helps you to type comfortably and also put it into your handbag or suitcase. The power saving mode gets activated when there is no activity using the keyboard for 10 minutes. To wake up the keyboard again, just press any key of your choice and wait for a couple of seconds. The accessory supports multiple languages, like English, Spanish, Japanese, Korean and more. It is available in two color options of white and black. The unit works with two AAA batteries that allow you to use the device continuously for a month while the automatic sleep mode ensures that you can use a fully charged keyboard for half a year before the next recharge. It is compatible with iPhones, iPads and Bluetooth enabled mobile phones, laptops and tablets. The Bluetooth keyboard comes with a one-year worry-free warranty. The Arteck Bluetooth keyboard has seven different color options of deep blue, cyan, soft blue, purple, bright green, red and soft green for LED back-lighting, with two adjustable brightness levels. The backlight turns off automatically to save power when the keyboard is in idle mode. 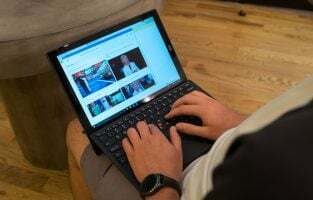 The QWERTY keyboard can be paired with tablets and smartphones that support Bluetooth 3.0 connectivity and features Windows dedicated hotkeys to perform common functions like cut, copy, paste, playback control and volume level adjustment with ease. The auto sleep feature turns off the keyboard and saves power when it senses inactivity for a preset time period. The keyboard features low-profile whisper-quiet keys that allow you to do your typing without making any sound that may disturb others. The black accessory has an ultra-slim and sleek design with a scissors kick construction that allows you to use it continuously over three million times. It also features an ABS plastic brushed finish for its front panel and a high-grade anodized zinc alloy for its back shell. The device encompasses an industry-grade high capacity battery that lasts for six months on a single charge with two hours of uninterrupted use every day and backlighting turned off. It is compatible with Android, iOS, Windows and MacOS operating systems. The Bluetooth keyboard comes with a USB charging cable, 24-month warranty, a welcome guide and friendly customer service. 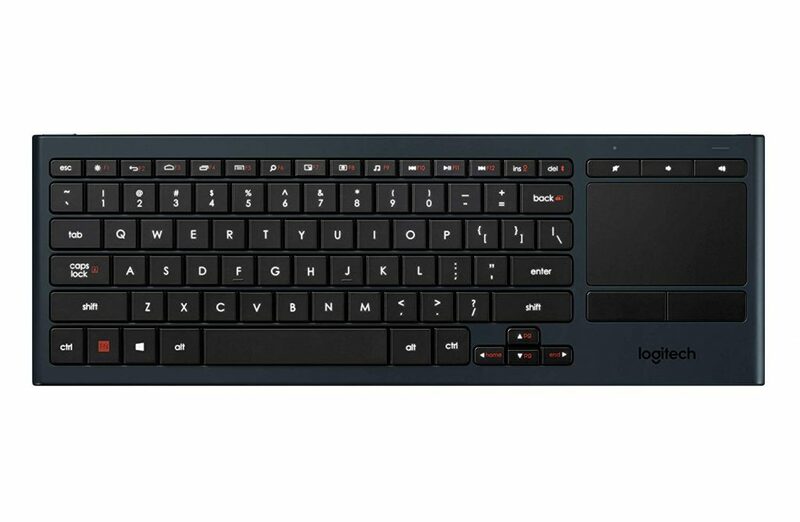 The Logitech Bluetooth keyboard performs the dual functions of both a keyboard and a mouse because of its TouchPad inclusion. 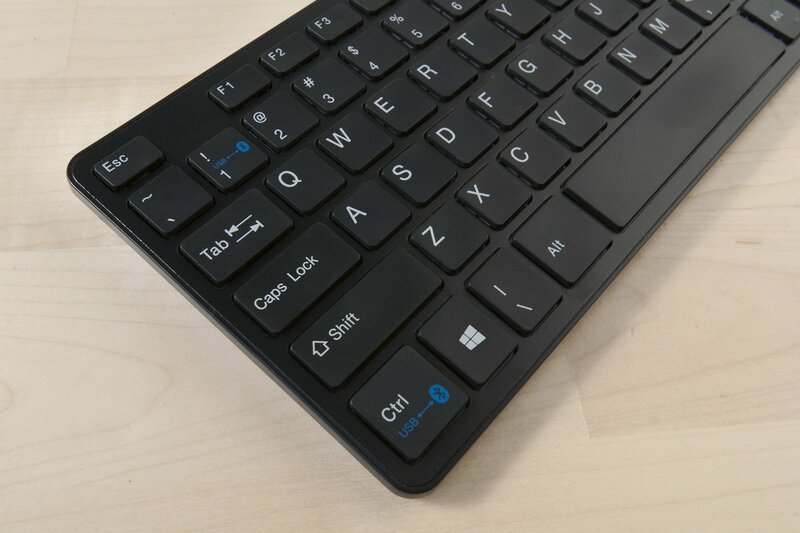 The keyboard has shortcut and easy access media keys for both Windows and Android operating systems that help in easy navigation and quick entertainment control functions like volume adjustment and mute. The responsive and smooth TouchPad renders enhanced gesture functions and accurate cursor control. The accessory offers wireless range up to a distance of 10 m.
The black keyboard has a USB port, a power ON/OFF switch and a back-lighting mechanism that makes it easy to type even when it is dark. The device is integrated with a sensor that is capable of detecting the light in the room and adjusting the brightness of the backlight accordingly. The back-light gets switched off on its own if there is no keyboard activity for five seconds. The Bluetooth Smart wireless technology allows you to use the HTPC keyboard to control the TV connected to your PC effortlessly. The keys have an average life of five million keystrokes. The compact device features a premium texture with a metal-like finish and a solid construction. It is compatible with Windows 7/8/10 and later versions, Android 5.0 and higher and Chrome OS. 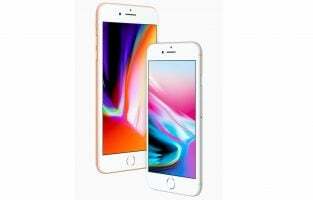 With three hours charge, the device has a battery life of 10 days with two hours of use every day and the back-light on in maximum brightness. The Bluetooth keyboard comes with a 150 cm USB range extender cable, a USB recharge cable, a unifying receiver and user documentation. The Jelly Comb Bluetooth mini keyboard allows you to convert your tablet into a tiny computer for quick and easy typing compared to using a touchscreen. The keyboard comes integrated with a TouchPad that performs the functions of a mouse. It comes with 63 keys fitted on the keyboard layout. 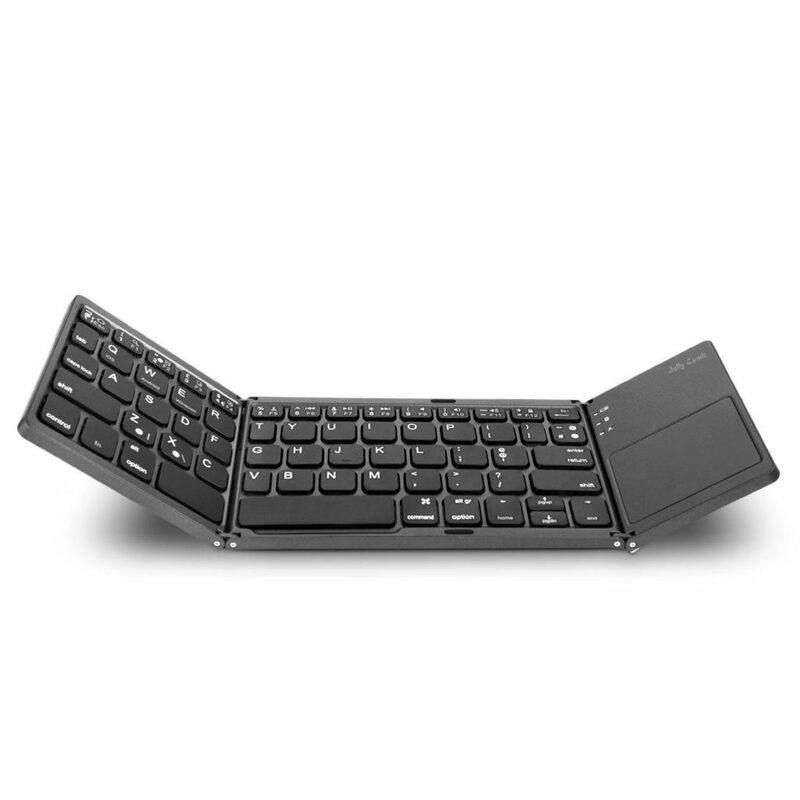 The device offers transmission up to a distance of 10 m.
The keyboard is made of aircraft grade materials that make it very rugged folding design makes the keyboard very compact and easily portable so that you can take it with you wherever you go. The rechargeable 140 mAh battery allows you to use it non-stop for 48 hours with just a single charge. The battery has a maximum standby time of 560 hours. The keyboard has a sleep time of 10 minutes and can be released from this mode by simply pressing any key. The keys of the device are compatible with Bluetooth enabled Android, iOS and Windows operating systems. However, the TouchPad is not iOS compatible. The lightweight ultra-thin keyboard is available in different color options of all black, black and silver, dark gray, matte gray and pure black. The Vive Comb Bluetooth keyboard has a separate number pad that makes it look just like the traditional keyboard. The Function keys have a light blue color for easy identification. The keys have wide spacing between them so that you do not accidentally press the wrong key. The keys have a life of five million clicks. The accessory comprises fast-access hotkeys that can help in boosting your productivity. It has small rubber pads at the bottom for better grip. The device renders a maximum operating distance of 10 m. The scissor-switch style keys offer a good tactile response. The compact and sleek keyboard provides a connection via Bluetooth 3.0 to Bluetooth enabled Windows 10/XP PCs and laptops, Mac OS X 10.2.8 and higher iMac/Macbooks, Windows Mobile 5.0 and higher, as well as tablets and smartphones with Android 3.0 and higher. The accessory comes with a long-life rechargeable battery that allows you to use it for a month or little more on a single charge. The unit can be charged using the lightning port located at the back. It is available in four color variants of black and silver, gray, rose gold and white and silver. The Bluetooth keyboard comes with a charging cable, a user manual and a 12-month warranty period. 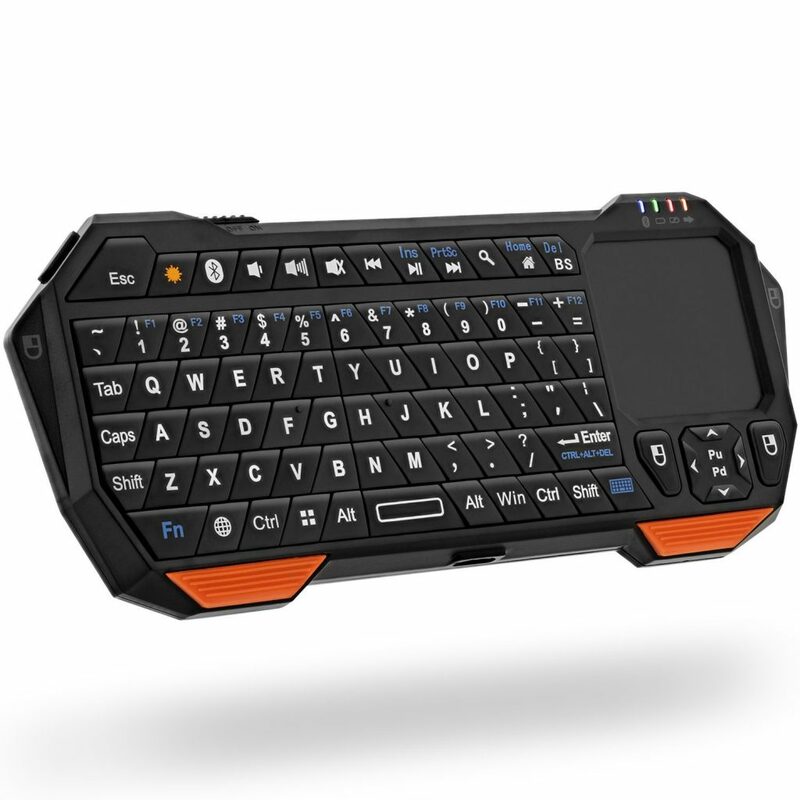 The Fosmon Bluetooth keyboard has a QWERTY layout and a touchpad that allows you to enjoy the freedom of wireless connectivity to the maximum extent possible. The keyboard features back-lighting to make it easily usable in the dark just like when there is ample light. It supports navigation of the cursor of the connected device with just the thumb and not having to rely on a mouse or touchscreen. The wireless accessory supports Bluetooth 3.0 and has a working range of 10 m.
The black and orange keyboard comprises a micro-USB charging port and LED indicators that keep you informed when the battery is fully charged or low. It has an inbuilt rechargeable lithium-ion battery that allows you to use the same for 10 days continuously. The battery features a charging time of approximately two to two and a half hours and a standby time of 50 hours. The unit is compatible with Amazon Fire Stick, Apple TV, Xbox 360, PlayStation 4, HTPCs and Google TV, as well as Android/iOS/Windows laptops, notebooks and smartphones. However, the TouchPad is not compatible with iPads and iPhones. The Bluetooth keyboard comes with a USB cable, a user manual and a limited lifetime warranty. 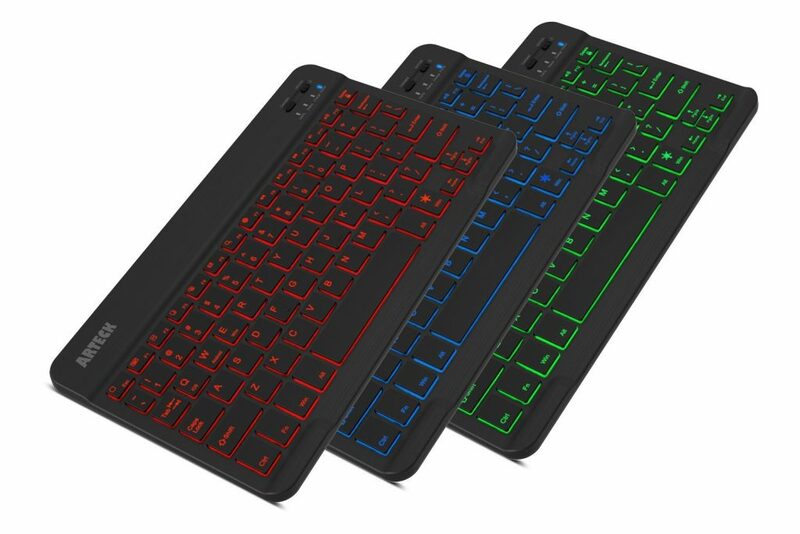 The Nulaxy Bluetooth keyboard features back-lighting in five different colors and three brightness levels. This renders both visual enjoyment and ease of nighttime typing or typing in the dark. The keyboard comprises 12 dedicated Function keys. The power saving mode puts the keyboard to sleep automatically if there is no detection of any typing activity or key press. 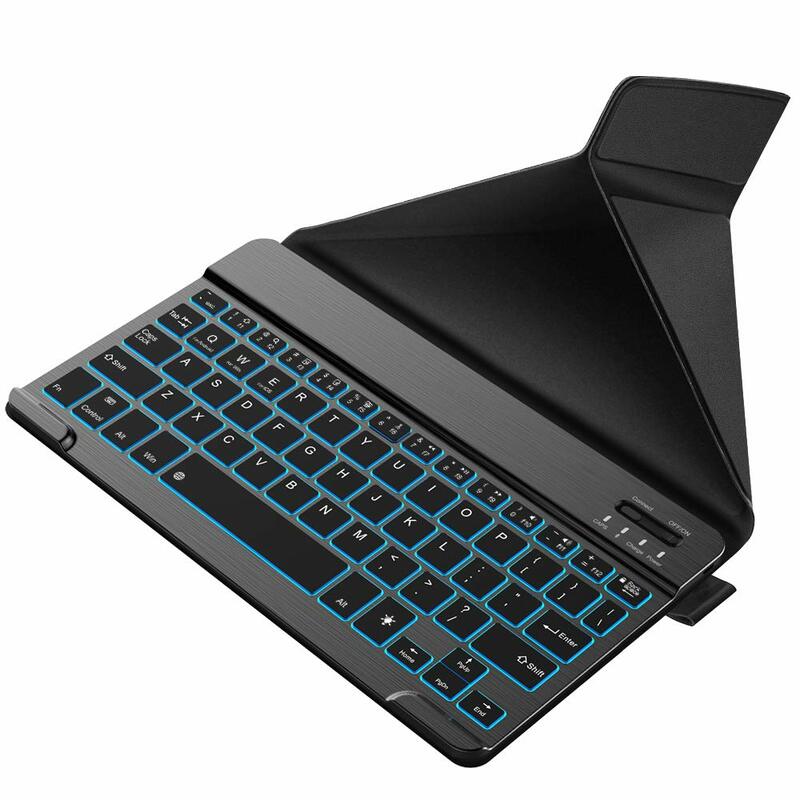 The portable and ultra slim keyboard has a folding design and is compact, thin and lightweight at the same time. The smooth keys have a service life of over three million times. The accessory features low power consumption that allows you to use it for nearly half a year with a single charge. The unit is compatible with Bluetooth enabled Android, iOS and Windows tablets and smartphones. It allows you to switch from one operating system to another by pressing just two keys. “Fn + Q” activates Android while “Fn + W” and “Fn + E” activate Windows and iOS respectively. With the power saving mode activated and two hours of use every day, you can use the keyboard for more than 60 days. It encompasses a 200 mAh lithium battery that has a battery life of three years, a charging time of less than four hours, a standby time of 60 hours and uninterrupted work time of 40 hours. The unit is available in two color choices of black & 5 back-lit colors and grey & 5 back-lit colors. The Bluetooth keyboard comes with a charging cable and a leather cover with magnets that can double up as a stand for a smartphone or a tablet. 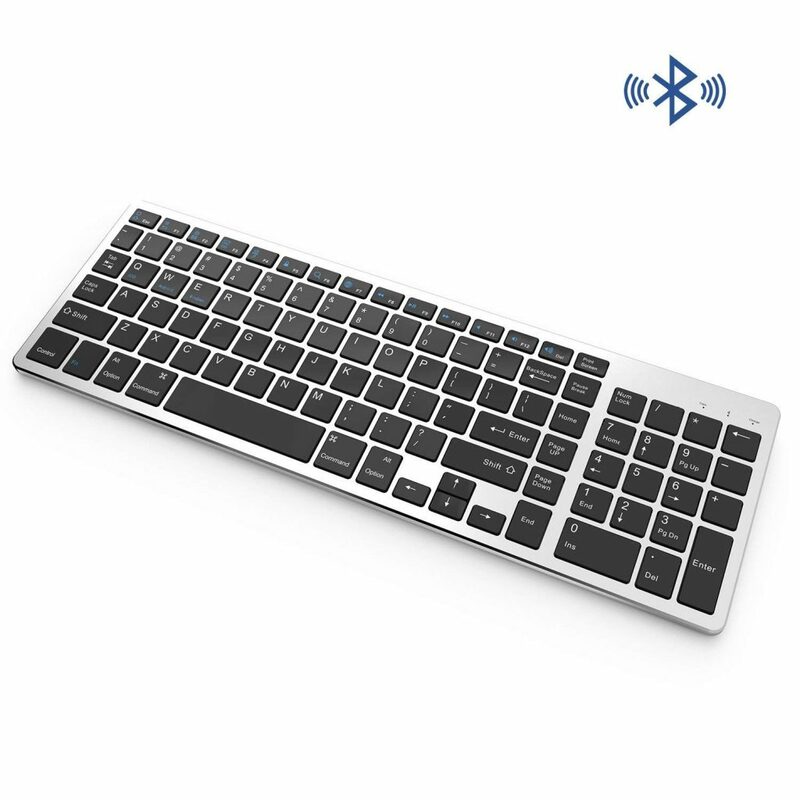 The Bluebyte Bluetooth keyboard features dual mode by supporting two wireless connection modes of Bluetooth 4.0 and 2.4G dongle. The ultra slim and full-size keyboard features cross compatibility with a functional lock key design and a separate number pad. This means that you can use each of the Function keys for a specific purpose. 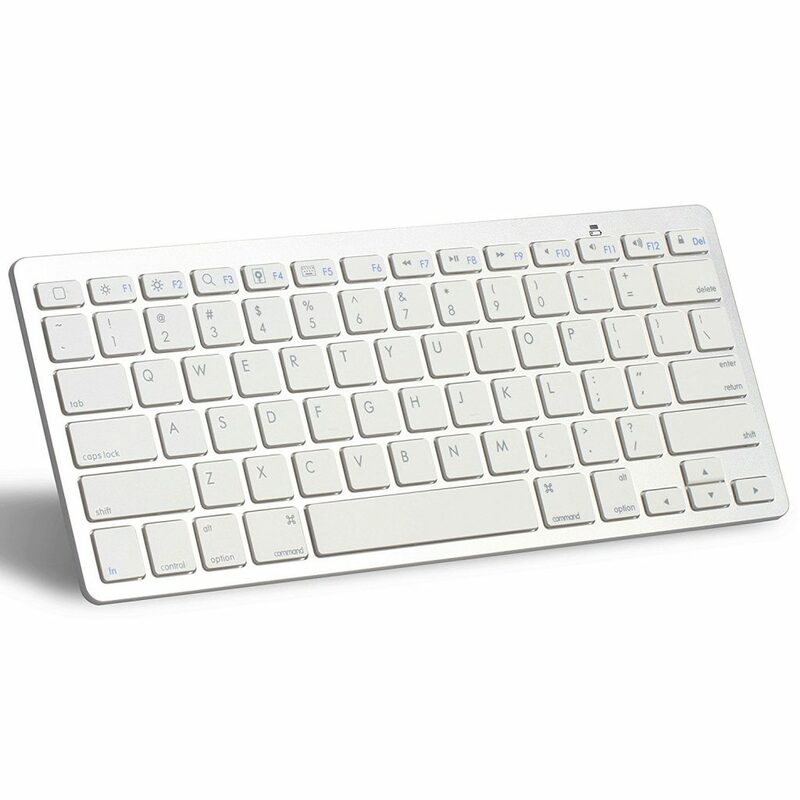 The accessory offers disruption free connection and supports wireless connectivity up to a maximum distance of 10 m.
The full size white colored keyboard is smaller than traditional keyboards and allows you to save on desk space. The silent keys help you to enjoy a quiet typing experience while the shortcut keys save time spent on controlling media and/or launching tasks. The blinking red LED light indicates that the keyboard is ready for connection with the dongle. The keys have U shaped corners and a Chiclet X scissor construction that makes the keys comfortable to touch and easy to type with. The cross-compatible keyboard works with Android, Windows, iOS and Mac devices, with optimized shortcut keys for all operating systems. It works with replaceable and rechargeable AAA batteries that allow you to use the accessory for a year on a single charge if the power saving mode is activated. The Bluetooth keyboard comes with a compatible dongle. The Macally Bluetooth keyboard utilizes four inbuilt solar panels and relies on solar power and eliminates the need for having to change batteries often. 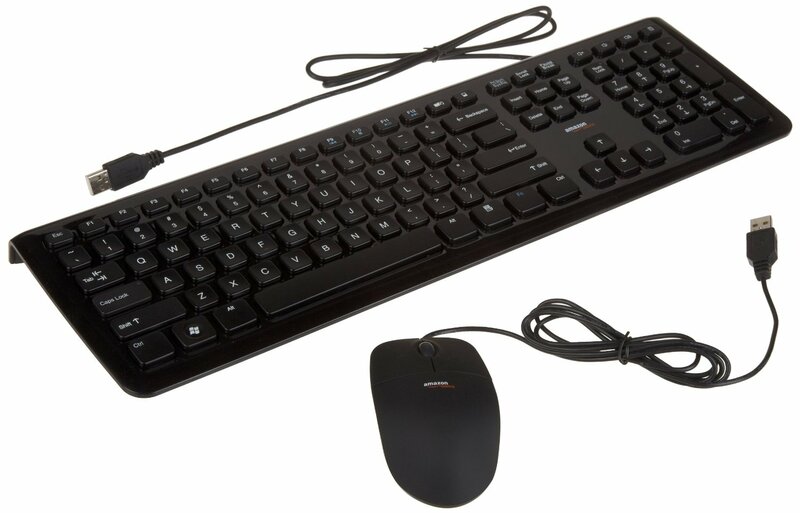 The cordless 110 keys keyboard has a maximum working range of 30 ft. The device helps you get connected to Bluetooth supported Mac laptops without any dongles and/or cable clutter. The accessory features a separate 17 number keypad for easy data entry. It also has concave keys with scissor-switch construction and thin island like keycaps for separating one keystroke from another. The keyboard encompasses an ON/OFF switch to save battery life, LED indicators for Caps lock and battery levels, along with 21 dedicated Apple shortcut keys. The accessory is slightly inclined at an angle of 10 degrees with anti-slide grips for better ergonomics. It comprises a 600 mAh lithium-ion battery that can be charged using any outdoor or indoor light source, such as LEDs, lamps, halogen lamps and more. A fully charged battery allows you to use the unit for up to 150 hours in complete darkness. The durable long-lasting space gray colored keyboard has a super thin stunning and slim design that perfectly complements any Apple computer or system. The Macally Bluetooth keyboard is specifically intended to meet the requirements of people who work with Apple computers. The shortcut keys ensure that the accessory is ideal for those who want to save time and enhance productivity by using minimum keystrokes for commonly performed commands like Cut, Copy, Paste, File Save, Print, Volume Up/Down, Play/Pause and more. The Caps lock indicator makes the keyboard a good option for those who tend to accidentally type their small case passwords in capital letters. The ability to place the unit in a reclined position because of its slight tilt and anti-slip grips make the unit worth considering by people who want to feel comfortable when they type for long hours. This is perhaps one of the best Bluetooth keyboards available under the price tag of $50 because of its compactness, comfort feel & ability to flawlessly switch between maximum three paired devices as well a very long battery life. The ergonomics of this keyboard is such that it is not putting extra strain on your wrists and the best part is it is neither too big nor too heavy. Hence, making it suitable to carry around. The keys being round and comfortable are very satisfying to press. And the slightly convex shape of the keys is meant for long typing sessions. 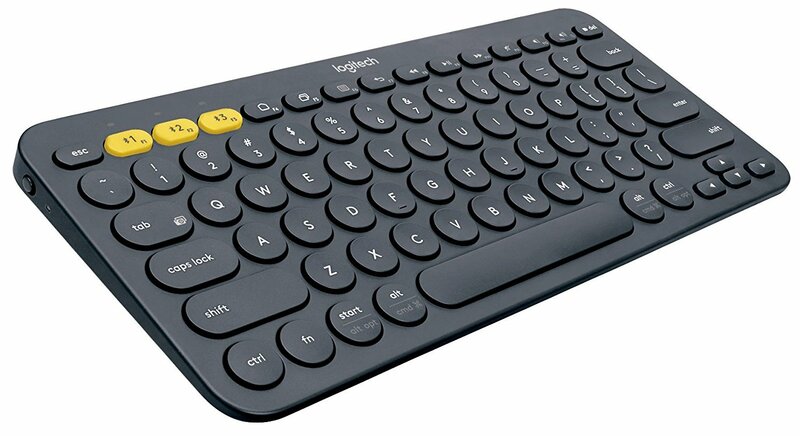 This is one of those truly multi-faceted keyboards that come with a switching button to quickly transform a traditional wired USB keyboard on your laptop to a wireless Bluetooth one to your laptop, tablet or even your smartphone and allowing you the freedom to connect to a variety of devices. Keeping pace with that flexibility, the keyboard allows you to use a detachable wire connection for a USB power source as well as to use the battery power for pairing wirelessly over Bluetooth for a real mobile experience. It is a six-row full-size keyboard which includes the numeric pad and shows no compromise with productivity. It is featuring the plug and play option for USB and is compatible with Windows, Bluetooth tablets, and Android smartphones. 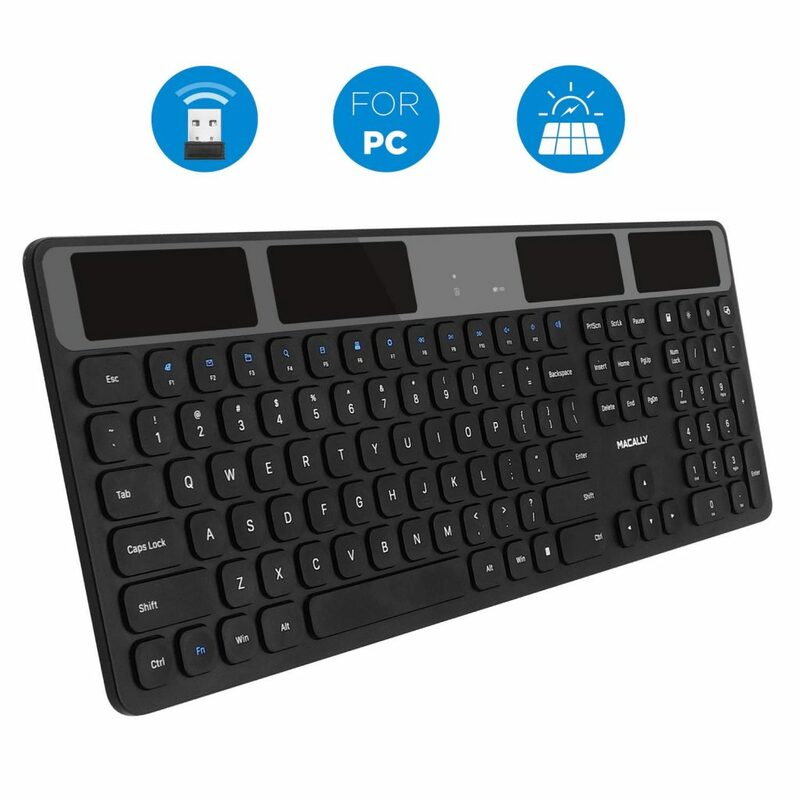 It is a completely solar-powered Bluetooth keyboard with no hassles of battery, so much so that any source of light keeps it powered for up to three months in total darkness! The design it has is ultra thin with just ⅓ Inch of thickness. It has a Mac layout with some very useful launchpad keys, placed exactly where you want them to be. With Logitech’s concave key cap design, the feel-good, quiet and faster typing will always be a strong point for this keyboard. Lastly, the small unifying receiver of Logitech stays in your system and enables you to connect to a plethora other devices when the need be. This is one of the most accepted Bluetooth keyboards with a touchpad, featuring a quick to respond QWERTY keyboard. It has a handy keyboard shortcut to navigate across iOs, Windows and Android OS. The device has elegant look, highly portable and is equipped with a backlight as well as multi-touch navigation wirelessly. It also has a built-in rechargeable battery with auto sleep/wake for battery conservation. This Bluetooth keyboard is specifically built for Amazon Kindle Fire HD 8.9In and all Android 3+ tablets or smartphones. It has a tilt design which provides comfortable typing ergonomically and avoids any form of strain. This helps you keep your workspace clutter-free and enables seamless synchronization with all of your different devices as and when needed. It also features “scissor-switch” keys, which are placed so that they can provide tactical feedback which in turn helps to increase the speed of typing and also the accuracy with which something is typed. Also, it comes with a 1- year Amazon warranty, which can be very handy just in case there is some problem after purchase. 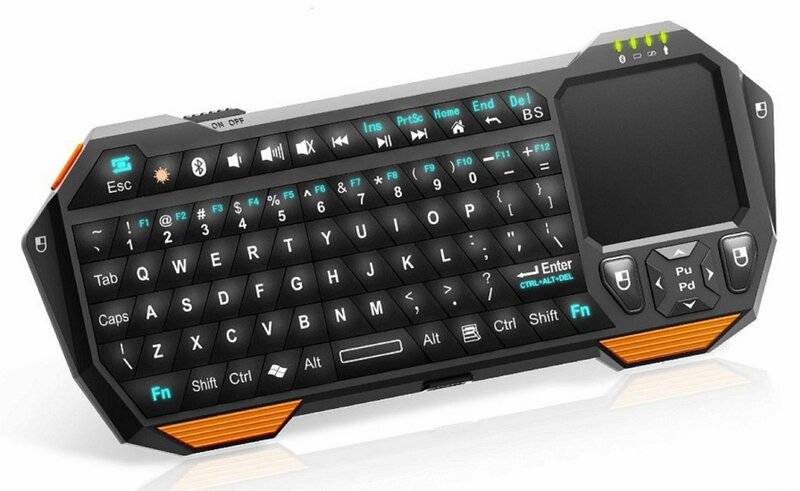 Almost all Bluetooth keyboards in the market are mainly used along with portable devices like tablets and smartphones. 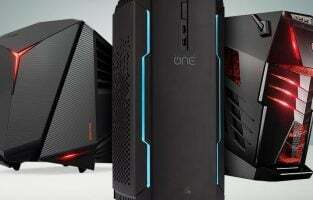 This does not mean that they cannot be used with the usual laptops and desktops. They are also compatible with almost all major operating systems. 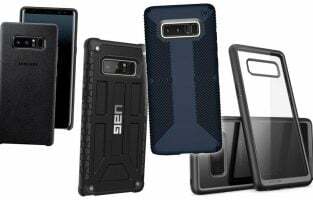 However, as they are designed primarily for portable devices, some of these keyboards may have operating system specific function keys that may not make them compatible with your device. So, it is recommended that you first check out these special function keys that are different for iOS and Android. 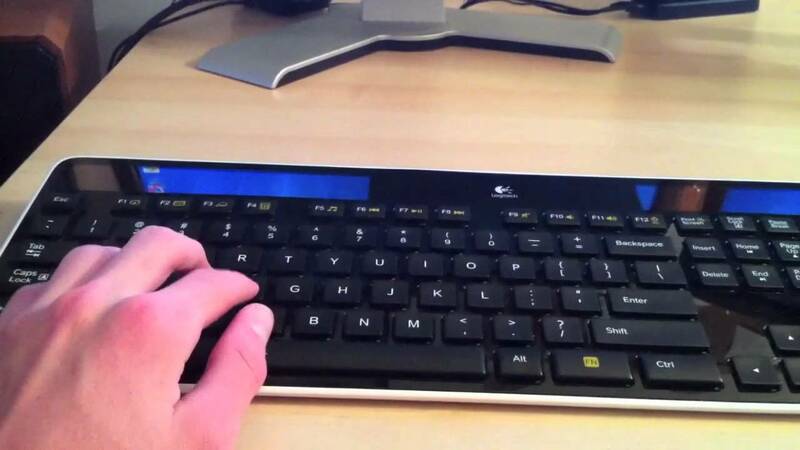 This can help you ensure that you buy the right Bluetooth keyboard for your device.